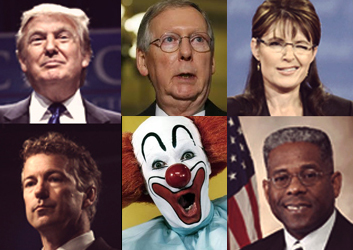 This week we’ve been entertained with the Republican version of the circus side show, otherwise known as CPAC. We’ve seen The Woman-Hating Human Turtle (Mitch McConnell), The World’s Biggest Liar (Mitt Romney), The Sheep-Headed Boy (Rand Paul) and The Wealthiest Dung Beetle (Donald Trump). So this weekend’s music theme is about unusual and unique people, those that are beguiling, those that are strange, those that stand out in a crowd or those who are simply unforgettable. KT, hope you feel better soon. My brain is too tired to think creatively. I did wonder if Mrs Robinson might not have been a little strange but likable. Nobody really knew who she was. Some of the members of the band used to sit in a cemetery and a play music, and they took notice of this one tombstone and decided to dedicate this wonderful piece of music to her, who was completely unknown. Some songs bring a tear to my eyes. This is one of them. Martha is so many women and Tom is so many men. That special one that will always remain special. KT, I really like Tom. Great pick. Guess who this song is about.